What’s the best stair lift for disabled individuals? Indy Stair Lifts offers a variety of models that help handicapped people use the stairs and provide the freedom to enjoy every floor of the house. 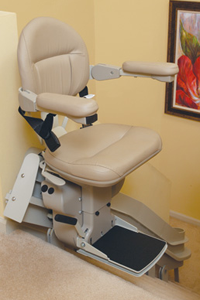 Our stair lifts for the disabled and seniors with mobility problems come in a variety of styles. The Indy Pinnacle, the Indy Lux, and the Indy Curve are three of our most popular stair lift models for the disabled. The Indy Pinnacle is our most compact model that extends 11 inches from your wall, making it ideal for narrow staircases or anyone who wants a compact lift in their home. It comes with a number of safety features, including a sensor that stops the lift automatically when it meets an obstruction. It also comes with an adjustable seat that swivels at the upper landing for easy exit and entry. The Indy Lux is another exceptional straight stair lift for the disabled. It has a 400 pound weight capacity that suits a variety of body types and sizes and a seat width of 21.75 inches. Its compact design allows guests to climb the stairs away from the stair lift with a swivel seat for easy and safe exit. We are proud to offer 10 year warranties with all of our residential stair lift models, which exceed our competitors by several years. We also offer 24/7, round the clock phone service to assist you with any issues that may arise. Our professionally designed stair lifts make every trip up and down stairways comfortable for handicapped individuals. They are the stair lifts for the disabled you should choose to promote freedom and independence at home for you or your loved ones. For more information about our top of the line stair lift for disabled models, call 1-888-203-5754 at your earliest convenience. 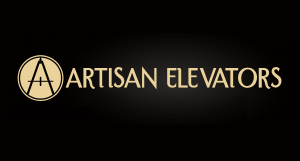 Our experts will help you select the best lifts for your home and arrange a home inspection to determine the best model for your stairway and the individuals who will use it. Contact Indy Stair Lifts today for details on the professionally designed stair lift for disabled that will enhance the independence of handicapped individuals.